The Mongol Altai Mountains are a beautiful hiking and adventure destination. 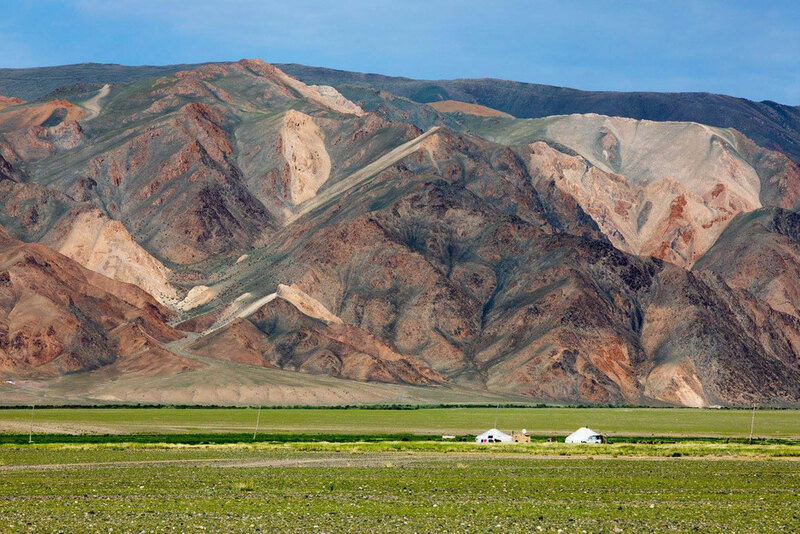 With views of the Altai Tavan Bogd National Park and Potanine glacier, it has become one of the most sought-after destination in Western Mongolia. If you are searching for a travel destination that is rich in experience, culture, and steeped in history, the Altai Mountains are perfect for you. Tavan Bogd National Park covers 6000 kilometers of land and is the most highest and most remote national park in the country. It was established in 1996 to protect and reserve the wildlife,history, and way of life in the region. Tavan Bogd is a mountain massif in the Altai Mountains region. Translating to "five saints," it was named for its five peaks. Its highest one is Khuiten Peak 4375 meters from sea level. It is located quite close to where the borders of Russia, China. Another popular peak sought after by skiers and hikers alike is Malchin Peak, as it is the only one of the five that can be climbed without special equipment. Two major ethnic groups make their home in this mountain range. The Kazakh people primarily live a nomadic, pastoral lifestyle, practicing traditions that are centuries old, such as eagle hunting. They are the second largest ethnic group in Mongolia. Tuvan people are also nomadic, relocating seasonally as necessary. Kazakhs and Tuvans primarily raise goats, sheep, cattle and camels. Tuvans are also known for their unique method of throat singing. Khoton and Khurgan Lakes are two bodies of water located in the northern part of the mountain range. They are freshwater lakes bordering on one another, situated at about 6,600 feet above sea level. Thanks to their crystal-clear nature and abundant fish life, they are popular choice for anglers and wildlife observers in the summer. The road to these lakes is treacherous in the winter, best traversed by locals only. The park is home to numerous types of endangered species, some of which are necessary to the way of life the Kazakh and Tuvan people. These animals include golden eagles, red deer, grey wolves, snow leopards, and black vultures. Wildlife experts have noted popular increases since the area was declared a national park. Thank to its warm summers, tourism season in the Altai region begins in May and ends in about September. During the summer, temperatures typically range from about 60 to 80 degrees Fahrenheit depending on altitude and specific area of the region your are in. The winter months are long, cold, and treacherous, deterring most tourists. There is no shortage of things to do in summer, however, thanks to the diversity in landscape and climate. Popular activities include hiking, backpacking, kayaking, horseback riding, and rafting. With its divers and beautiful climate, rich cultural heritage, and breathtaking views, the Altai Mountains are the perfect spot for your next adventure.